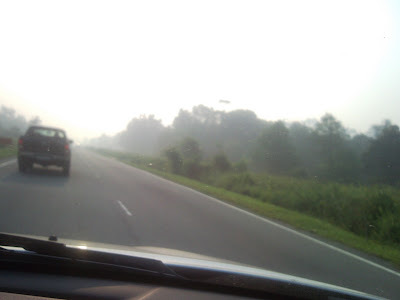 Just some pictures of the Seria bypass road, which was blanketed with haze. The pictures were taken this morning. 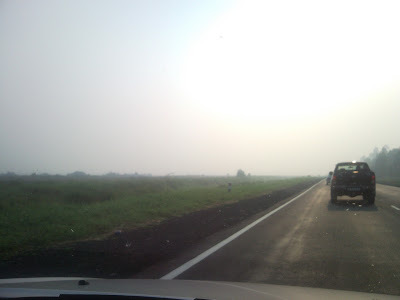 Visibility was greatly reduced. 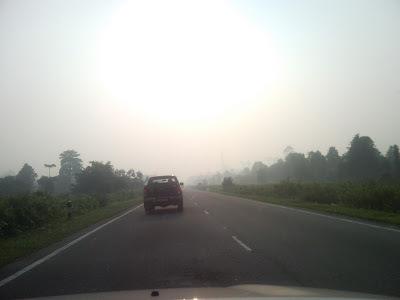 Areas in Kuala Belait are even more badly affected.